So out of curiosity, I decided to pick up this book off my shelf and start reading the first few pages--just so I could see what I was looking forward to. 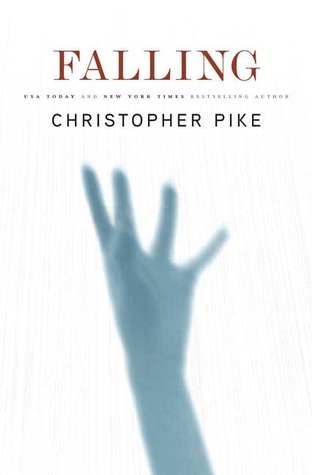 I haven't read Christopher Pike since I was in middle school, so it's almost as if he were a new-to-me author, but I DO recall liking his little young adult horror books. The summary of this book DOES sound intriguing, with more of a crime thriller twist involving two very flawed people. Deeply in love with his girlfriend, Matt is devastated when Amy leaves him for another man. He plots a diabolical revenge that begins with his apparent death. By the time Matt is through, Amy--Jimmy's mother--will know the intensity of Matt's pain, because it will have become her own. And Matt…Matt will pass through the fires of hell and, in the eyes of baby Jimmy, will recover his soul. While this sounds like it would be a thoughtful story about an anti-hero moving towards salvation in the face of all his forthcoming malevolent deeds... the first thing that crossed my mind, really, was a child having a tantrum and reacting in the most volatile way possible. I mean, this guy is thirty-years-old, as the book states. He takes his girlfriend dumping him and leaving him for another man badly. He becomes obsessed with it because he's either still in love with her or he's just really, really broken up about her leaving him. And so he fakes his death and goes after her baby. Meanwhile, his entire family and his current girlfriend are suffering through losing him to death. I guess this might be an intriguing redemption story of sorts that some would enjoy. 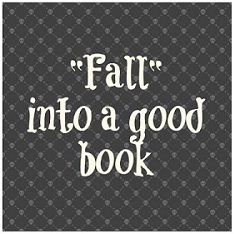 And I'm both curious and turned off by what I've already read. I'm curious to know how far this guy is willing to go for his revenge and what happens to him in the end. But at the same time, I'm not entirely sure I'd be able to follow along his actions without feeling frustrated, because there's just no cause for putting an innocent child at risk just because you're angry at the child's parent who hurt you. Anyway, I may or may not choose to read this book for Bingo. Since there's a whole other main character to follow in the form of an FBI agent, I might give it more of a chance and read a few more chapters. But there's a bit of a possibility I might have to find myself a back-up in case this one falls through. (No pun intended.) Looks like I'll be browsing the Halloween Bingo reading lists again.